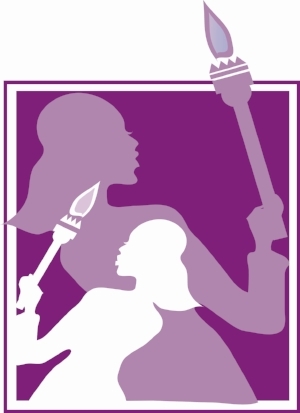 Women & Girls HIV/AIDS Awareness Day Symposium. 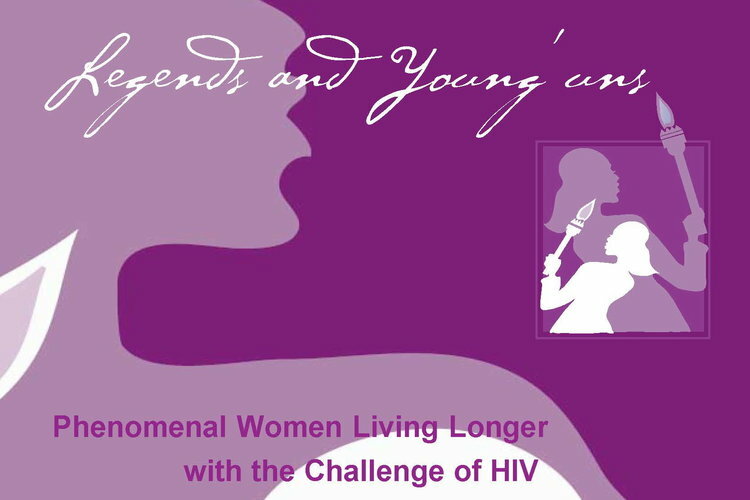 Every year, OWEL offers a full day conference that addresses the unique issues of women living with HIV, both those perinatally infected and newly diagnosed—the “Young’uns”—as well as those living with HIV in their senior years—the “Legends.” The conference is a celebration of the survival of the phenomenal older women now living longer and often healthier with HIV. Expert keynote speakers involved in the care and treatment of women, consumer panel discussions and focused breakout sessions are provided. Lunch is provided; songs are sung—music, smiles, hugs and learning. This year’s event will be held on October 23, 2019. Check back on updates for Legends 2019. 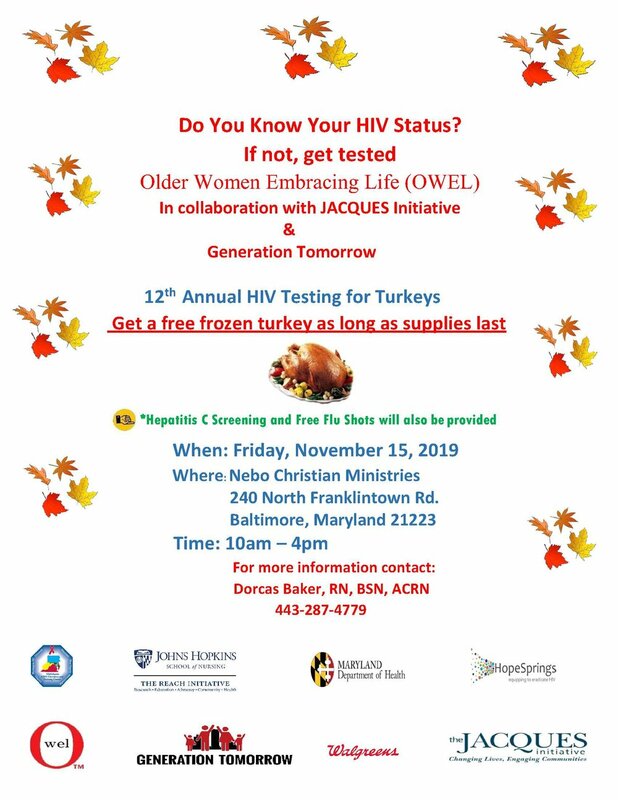 Testing for Turkeys is an annual HIV and Hepatitis C testing event co-sponsored by OWEL, the University of Maryland Jacques Initiative, the Johns Hopkins University Center for AIDS Research Generation Tomorrow program, and other partners. The 12th Annual Testing for Turkeys event will take place on November 15, 2019. Please stay tuned for more details. OWEL is an annual participant in National HIV and Aging Awareness Day. Stay tuned for details about this year's event!